Plasma cutting technology used a lot in steel and metal cutting processes, especially when integrated with CNC plasma arc cutting. So how much do you know about this cutting technology? And how is the differences between other metal cutting methods. Below articles we will tell you all the tips and guide if you need this plasma cutting service. 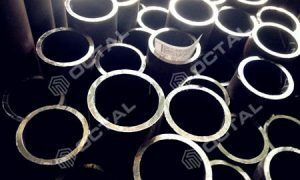 Plasma cutting method is to use the heat that generated from high temperature plasma electric arc to cut the steel parts. During cutting processes, metal material will be melting and evaporated, then to use plasma power to erase the metal melting fusions. Plasma Cutting was developed from plasma welding in the 1960s, and then evolved as an extremely effective method in the 1980s to cut sheet and plate metal. 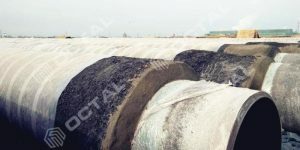 It possessed the benefits over conventional “metal against metal” cutting of generating zero metal clippings, providing precise cuts, and creating a more refined edge compared to oxy-fuel slicing. At the beginning plasma cutters were huge, fairly slow and costly and, for that reason, were inclined to be used for repetitive cutting styles in “mass production”. As Plasma cutting is a technique that cuts via electrically conductive materials using an accelerated stream of hot plasma. It could cut many types of material including different steels. 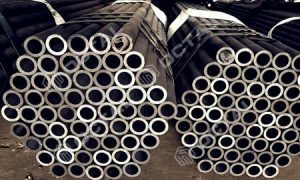 Common materials cut using a plasma torch include carbon steel, alloy steel, stainless steel, aluminum, brass and copper, even though various other conductive metals could be cut too. What it is used for? 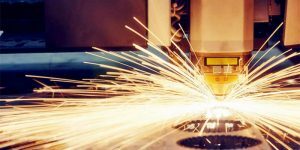 Plasma cutting is frequently utilized in auto repair and restoration, manufacturing workshops, salvage and scrapping operations, and industrial construction. Because of the very high speed and meticulous cuts coupled with low price, plasma cutting has a wide range of uses from huge industrial CNC operations all the way down to modest hobbyist shops. The simple plasma cutting procedure requires producing an electrical channel of superheated, electrically ionized gas plasma from the plasma cutting tool itself, via the material to be cut, consequently creating a full electric circuit back to the plasma cutter through a grounding clamp. 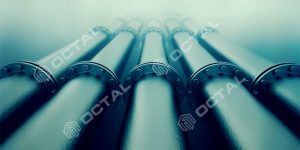 It is actually done by a pressurized gas (oxygen, air, inert among others subject to material getting cut) which is forced from a concentrated nozzle at very fast speed to the piece getting cut. Inside the gas, an electric arc is created, between an electrode close to or incorporated into the gas nozzle and the actual work piece. A portion of the gas is ionized by the electric arc, resulting in a channel of plasma that is electrically conductive. 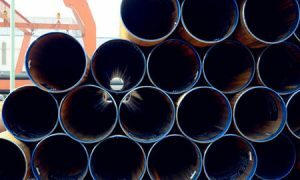 Simultaneously, most of the high-speed plasma and pressurized gas blast away the scorching molten metal, as a result separating slicing through the material being worked. Cutting with plasma is an efficient method of slicing thin as well as thick steel plates and metal materials. Hand-held torches are able to cut steel plates as thick as 38 mm (1.5 in), and more powerful computer-controlled torches are able to slice steel as much as 150 mm (6 in) thick. 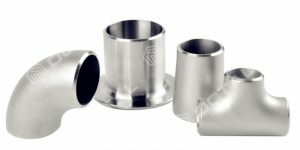 Given that plasma cutters can generate an extremely hot and very focused “cone” to do the cutting, they can be invaluable for cutting metal sheets with more shapes and profiles in rounded or angled designs. Similar to various other machine equipment, CNC (computer numerical control) technological innovation was used on plasma cutting equipment in the latter part of the 1980s and into the 1990s, providing plasma cutting devices superior versatility to cut various designs “on demand” according to specific details which were programmed into the numerical brain of the machine. Plasma cutting tools make use of quite a few techniques to start the arc. In certain devices, the arc is made by connecting the torch with the material being cut. 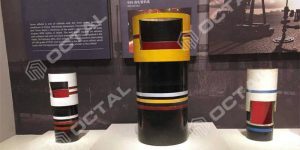 Other cutting tools apply a high voltage, high-frequency electrical connection to create the arc. This technique has quite a few drawbacks, such as the danger of electric shocks, troublesome to fix, maintaining the spark gap, along with the large level of radio frequency emissions. 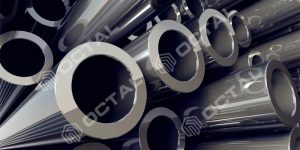 Plasma cutting tools operating close to delicate electronic products, like CNC equipment or computing devices, initiate the pilot arc by other methods. The nozzle and the electrode come into contact. The nozzle is the cathode while the electrode is the anode. Once the plasma gas starts flowing, the nozzle blows forward. A third, but not as popular technique is capacitive discharge into the main circuit through a silicon operated rectifier. A number of plasma cutter makers construct CNC cutting benches, and some installed the cutter in the cutting table. CNC tables make it possible for a computer to operate the torch head creating clean crisp cuts. Today’s CNC plasma equipment are able to cut thick material on multiple axes, making it possible for complicated welding joints which are impossible with other methods. 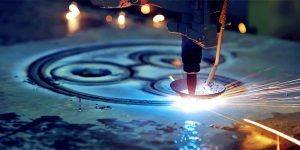 For thinner metals, plasma cutting is slowly being swapped out for laser cutting, because of the laser cut has exceptional hole-cutting capabilities. CNC Plasma Cutting services also can be used in various workshops to produce beautiful metalwork. For example, commercial and residential home signs, wall art, designs, street address signs, and exterior garden art. Recently there was even further advancement. Normally, the cutting tables of the machines were horizontal, however, vertical CNC plasma cutting devices are on the market, offering a compact footprint, greater flexibility, most effective safety and quicker functionality. CNC Plasma Cutting has 3 primary configurations, which are mostly differentiated by the kinds of materials before working as well as the mobility of the cutting head. It is the most popular and traditional kind of CNC Plasma Cutting. Producing level profiles, in which the cut sides have a 90-degree angle to the surface of the material. CNC Plasma Cutting beds, the high powered ones, are set up in this manner, are capable of cutting profiles from metal plate as thick as 150mm all the way up to 30mm thick. Just as before, a procedure for creating level profiles from a thin steel plate or sheet metal, but with the advent of an extra rotational axis, the CNC Plasma Cutting machine cutting head is able to tilt even while going through a standard 2-dimensional cutting route. The outcome of this is cut edges at angles besides 90-degrees to the surface of the material, for instances an 30-45 degree angles. This angle is constant all the way through the material’s thickness. 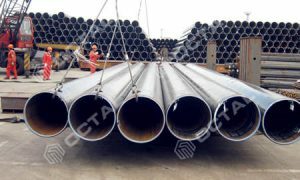 This is usually utilized in conditions where the profile getting cut will be utilized together with a welded fabrication as the edge angle forms a part of the weld groundwork. 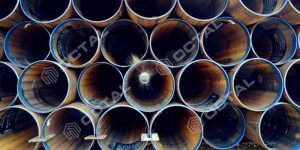 Once the weld preparation is carried out in the course of the CNC plasma cutting procedure, supplementary functions like milling or machining are often eliminated, thereby minimizing cost. 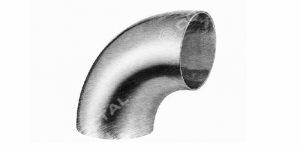 The angular cutting ability of 3D plasma cutting can even be used to produce countersunk holes as well as chamfer edges of profiled holes. 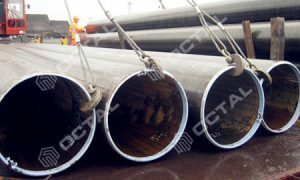 This cutting method is applied to the processing of tube, pipe or any kind of extended section, like H beams, C beams, L steel profiles etc. 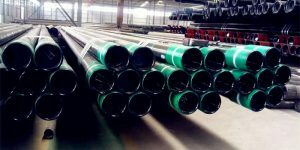 During the cutting processes, the plasma cutting torch will stay fixed at the same time the workpiece is pushed through, and revolving around the longitudinal axis. Where ever, there are certain settings as with 3D Plasma Cutting, the cutting torch is able to turn and revolve. 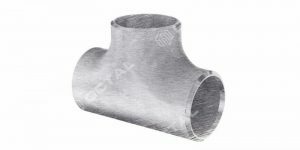 This enables angled cuts to be produced throughout the thickness of the section or tube, usually exploited in the fabrication of process pipework in which cut pipe could be supplied with a weld preparation instead of a straight edge. The point is to get the high performance cut. In the previously years, plasma torch makers have designed a new version with a more compact nozzle and a slimmer plasma arc. It makes plasma cut edges could reach laser cut accuracy. 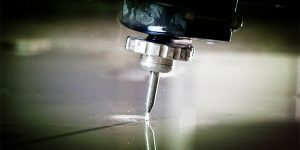 There are some manufacturing companies have integrated accurate CNC control with the new nozzle, to get a more precisely cuts that nearly do not require any further processing and finishing. 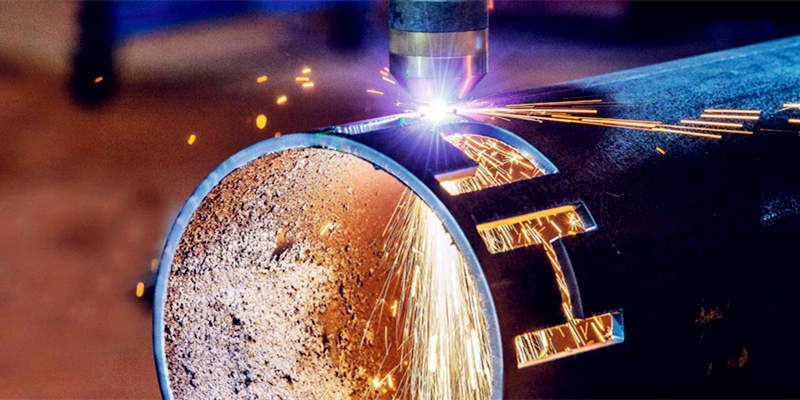 The costs for plasma cutting is getting reduced, previously plasma torches were expensive. Because of this they were often only located in specialized welding shops and really well-stocked private shops and garages. But, present-day plasma torches are getting more affordable, and today is within the budget of most hobbyists. Outdated equipment usually has a big weight, even it’s a portable model, while a number of more modern types with inverter features don’t weight that much at all, but are equal to or beyond the capacity of the old styles. Cutting thickness reach up to 40mm. Cutting thickness reach up to 30mm. If you have any requirements for plasma cutting services, just contact us.